As children get older they leave their toddler beds behind and grow up to sleep in a twin bed. Usually at around age 5 children transition from a toddler bed to a “big kid bed” for their comfort. The first thing to consider when purchasing a twin bed is measuring how much space you have available. 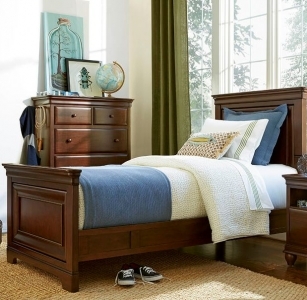 Twin beds come in a standard size which is 39”x75”.The next step to choosing a bed would be the type of bed; bookcase bed, daybed, captain bed, or platform bed. The bookcase bed has shelves for storage of things like books or alarm clocks. 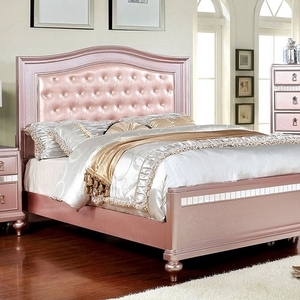 The day bed is perfect for lounging; it can be dressed up as a couch during the day and at night as a bed. The captain bed has more options for storage, taking advantage of all the space beneath the mattress with drawers, cubbies, or a trundle. 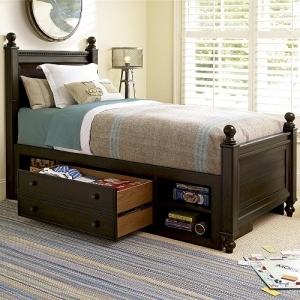 The platform bed is closer to the ground and has a little less room for underneath storage. Following that would be choosing a style that you like; traditional, contemporary, transitional, modern, or country. Once that is all chosen the next step is the material; wood, metal, or a combination of both. There are 332 products in this category.